Elephant Twilight is a special, small group “saddle off!” program in cooperation with a local village settlement to the south-west of Chiang Mai city. This trip is suitable for families and guest of all ages. With no riding, you will feed the elephants in the afternoon and then walk with the beautiful elephant family along the river side among the peaceful twilight witnessing their natural behaviours and sense of freedom, experiencing Thai Traditional - Cultural show from local students and enjoy vegetarian buffet - BBQ. 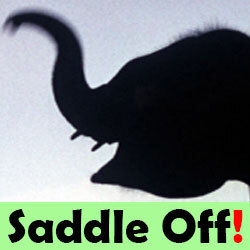 This trip differs from our other “”saddle off!" programs as offers a short afternoon visit for any age group. Returning: around 7:00pm / 7:30pm to Chiang Mai city. Bookings close: 2 pm (GMT+7), on the day before you are due to visit. Payment is required to secure your place(s).